Laslo Benedek, US, 1953, 79 min. 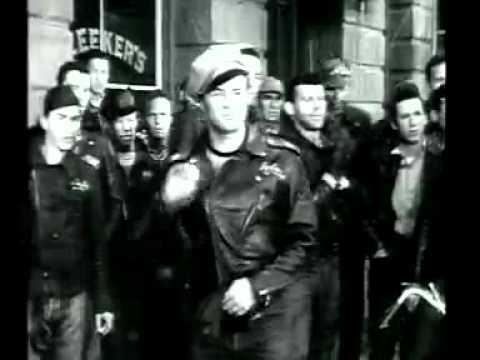 The Wild One is the quintessential biker movie. Featuring Marlon Brando in the iconic role of the leather-clad outlaw, the film left a lasting impression on American pop culture, influencing everything from Easy Rider to Arthur “Fonzie” Fonzarelli. John Paxton’s screenplay was based on actual incidents of towns in California being terrorized by motorcycle gangs. During its initial theatrical run, many theaters were afraid to show the film for fear that the on-screen glamorizing of violence and lawlessness would inspire rioting and other anti-social behaviors.